One of my favorite splurges at Disneyland is character dining. I love it! As a budget-minded traveler, it is rare that I would rave about dropping this amount of cash for one meal, but there is more than food that adds value to character dining at Disneyland Resort. I have eaten at every character dining option available at Disneyland, and while I have written (or am currently writing) reviews on each, sometimes it is nice to just have a full list with information to help you decide which one is right for you. Today in our Disneyland 101 series we are comparing the different character dining at Disneyland. We covered the in park ones very briefly in the overview and layout of Disneyland Park, but if you are planning to book a character meal, you probably want more in depth information, and to know the options outside of the parks. Before we review all the character dining options available at Disneyland, I want to share some of my tips for booking your character meals. These tips will help you be prepared with the process and cover some of the most asked Disneyland character dining questions from the Disneyland with Kids Facebook group. Character dining can be booked 60 days in advance. This is before the park hours are released. I suggest loosely planning your park days and booking at the 60 day mark, but be sure to cancel any reservations you do not intend to keep. While kids under three will not be charged, you will need to include them in your party’s head count. If you do not see your preferred dining time, keep checking back. Other guests may cancel their reservations, or they may adjust hours for your visit. Also try calling if you do not see openings online. Be sure to note any special dietary needs during your booking. Disneyland is great at accommodating food allergies and dietary restrictions, but it helps if you give them a heads up. If you book a Character Dining at Disneyland for Plaza Inn during Magic Morning or the first 20-30 minutes of park opening, there is a special entrance gate. Go to the far left and check in with the cast member at the gate. Character Meals during Magic Morning hours will not use your Magic Morning entry. Wondering about the different character meals at Disneyland? We got you covered. 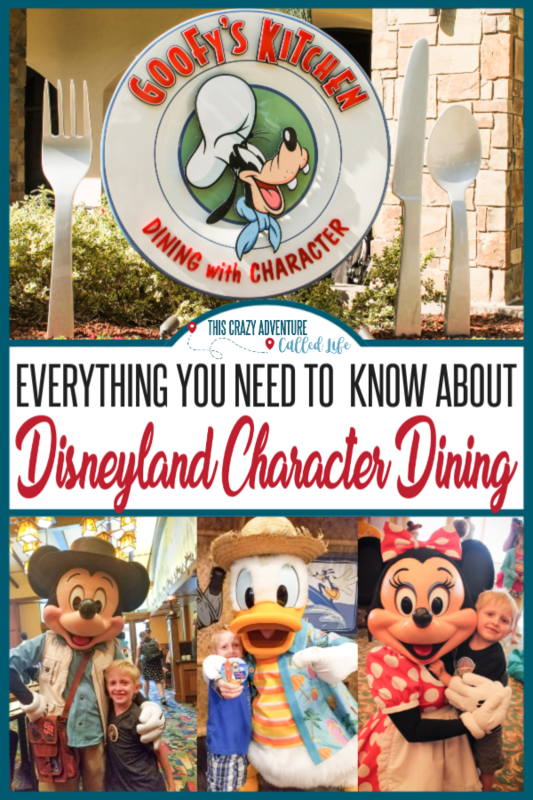 Below are some quick overviews of all 5 character dining options. For more in depth information be sure to check out my individual reviews. 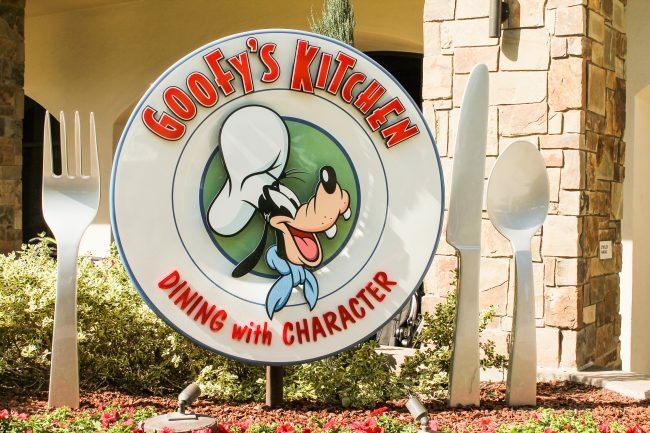 Goofy’s Kitchen is located inside the Disneyland Hotel. This character dining at Disneyland Resort experience starts when you are greeted by Chef Goofy (or sometimes Chef Mickey) before being seated. The spread is a buffet brunch or dinner with a multitude of items. It may be Goofy’s kitchen but there are lots of Mickey shaped items such as waffles and pancakes. They have a made to order omelet station as well. Some characters you may see at Goofy’s Kitchen include: Goofy, Dale, Chip (I put him second because poor Dale is always second) Pluto, Minnie and Mickey. Whey we love this Disneyland character meal: First off, this is the only character dining at Disneyland that has a dinner option. Add to the fact that you do not need park admission to enjoy this location, it is a great choice for the evening you arrive in the Disneyland area, before entering the parks. 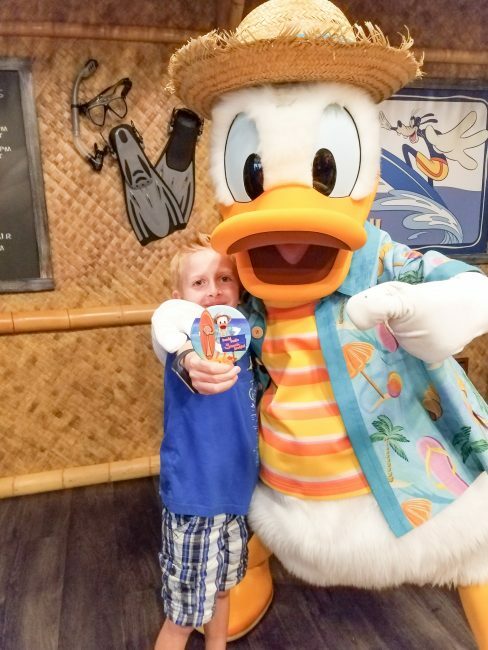 We also love that the characters are easily recognizable for younger children, and can help cute out some character meet and greet lines in the park. Donald’s Seaside Breakfast is located at the PCH Grill inside of the Paradise Pier Hotel. This dining experience is like you are at one giant beach party with Donald and his friends. Every 30 minutes or so, Donald and his friends dance to classic beach hits (usually by the Beach Boys). This is also a buffet style meal so come hungry. Some characters you may see at the Seaside Breakfast include: Donald, Minnie, Daisy and Stitch. Why we love this Disneyland character meal: This meal has the best lighting options of the hotel based character dining meals at Disneyland Resort. This is great for pictures. My family also loved that we could meet Stitch who is not out in the park (except for sometimes with the Disney Visa meet and greet). The lack of need for park admission makes this a great non-park day activity. We like it for a rest day, or to use on the day you may be traveling home. Mickey’s Tales of Adventure Character Dining takes place in the Storyteller’s Cafe located in the Grand Californian Hotel and Spa. This character dining at Disneyland Resort has breakfast Monday through Thursday and a brunch Friday through Sunday (which goes until the early afternoon). Character you may see at the Critter Breakfast include: Chip, Dale, Minnie, Pluto and Mickey Mouse. It is also important to note that there is no photopass photo opp at this character meal. Every 30 minutes the characters lead a parade around the dining area, and kids are encouraged to join. Why we love this Disneyland character meal: I was worried when we went to this dining option because people said the food was too fancy for kids. I actually thought it had a great mix of classic Disney breakfast items, like Mickey waffles and bacon, plus higher end food. I also love that you get both Minnie and Mickey meet and greets here because it cuts out two of the longest character lines in the park. The Minnie and Friends Breakfast takes place at the Plaza Inn in Disneyland Park at the end of Mainstreet USA, right next to the Tomorrowland entrance. This is probably our favorite character meal. The meal is buffet style, with lots of pasty and hot food options. 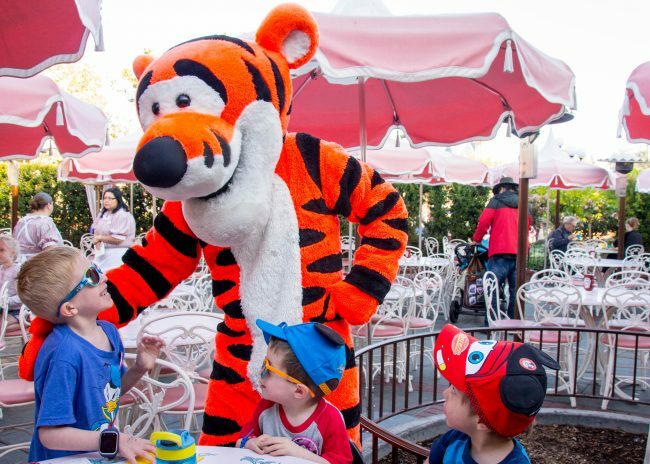 Why we love this Disneyland character meal: Characters, characters and more characters! I have never seen less than 10 characters at this meal. Also, I have always met Pooh and friends here, which cuts out the need to wait in the long line in Critter Country to meet these characters. If you are able to score an outdoor seating are, you will also have great lighting for pictures. This is also the most budget-friendly character meal. The new Disney Princess character meal is coming to Disneyland Resort March 30th. We do not know much about this Disneyland character dining option, except that it looks to be more of an immersive experience than a typical character meal. This meal also comes with a hefty price tag of $125. After I got over the sticker shock (remember I am a budget-minded traveler), I booked the experience for opening day so I will add details of this meal after I experience it. 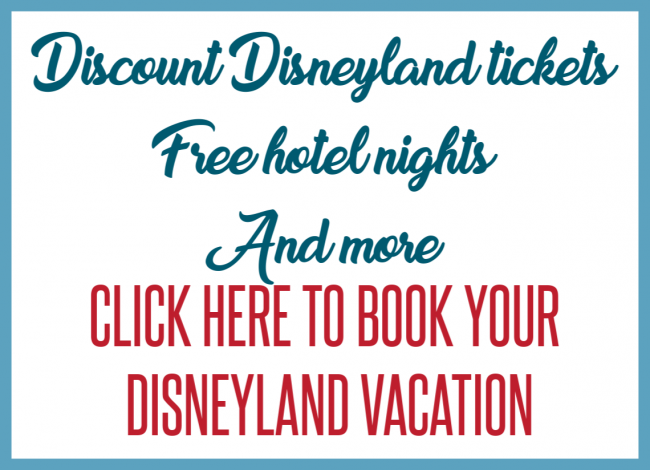 When deciding if you should do a Disneyland character breakfast (0r dinner) there are a lot of things to consider. Time– Character meals take around 90 minutes. Between being seated, getting food, meeting characters, autographs and pictures, you will most likely spend one to two hours in the restaurant. On the flip side, you will save that time, or longer, if you wait in lines to meet all of the characters and getting a quick service meal at some point that day. Cost– If you are on a tight budget, or have a large group, character dining is a big financial decision. The cheapest options still average over $30 per adult. 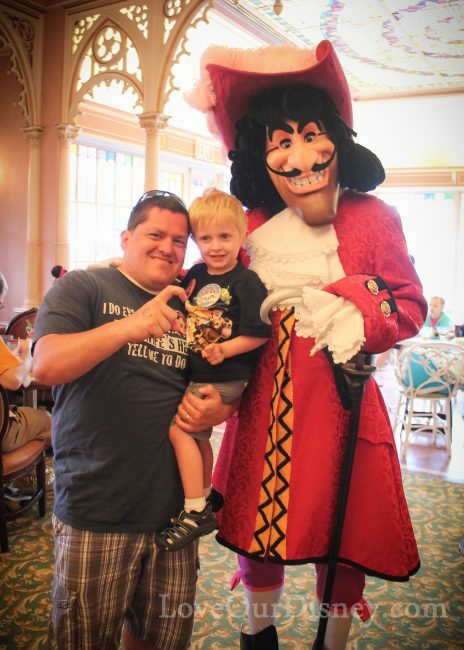 Benefits– There are some major benefits to character dining. The first is more time to interact with the character. You won’t feel rushed by a line of people behind you. We definitely feel that a Disneyland character meal is worth the money. We try and book one each visit. What character dining options have you tried and loved? Pixar Themed Character Meal in Disney California Adventure? We’re hoping to go to Goofy’s Kitchen and the Surf’s Up Breakfast when we go in September/October. One for my daughter’s birthday and the other for my nieces birthday. Do you know if they do anything special for birthdays? We are on a tight schedule, therefore we don’t have time for a character meal. 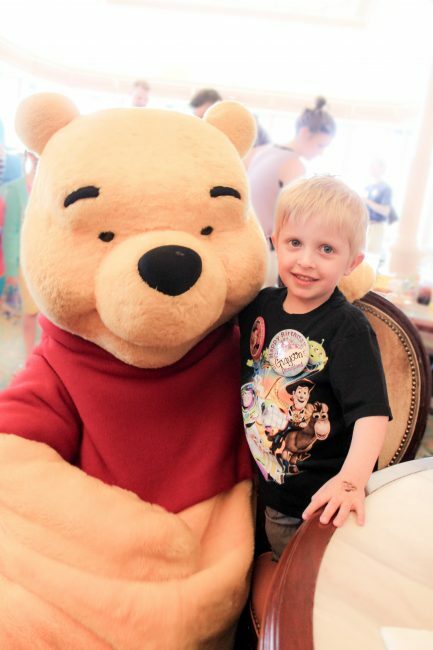 Is there a way to meet Winnie the Pooh without going to the Minnie and Friends Breakfast? Also, are you allowed to receive more than one free pin from Guest Services? We will be celebrating a birthday as well as our first visit, so we were hoping to pick up both those pins. In regards to Fast Passes, I believe I read somewhere that you can only obtain three Fast Passes per day (in total). I know that you can only have one at a time (excluding World of Colour), but is there a maximum number that you can get per day? Yes! You can meet Pooh, Eeyore and Tigger in Pooh’s Corner located by Splash Mountain and the Winnie the Pooh ride in Critter Country. You can also meet Minnie in To on town. You can most definitely get both a 1st visit pin and a birthday pin. Also, your family can get I’m celebrating pins in honor of your birthday as well. I hope you have a magical time and never hesitate to ask a question on here. Those character breakfasts sound like so much fun! I’ll have to try some of them when I get to visit Disneyland! Great article! Be sure to read all of my Disneyland 101 series. Some of it will be stuff you already know as a WDW veteran, but some of it is unique to Disneyland. 4 days will probably be about right. I can easily go 4-5 days but normally on day 5 I am only in the park for a few hours depending on crowds. I can’t take more than 4 days in heavy crowds. 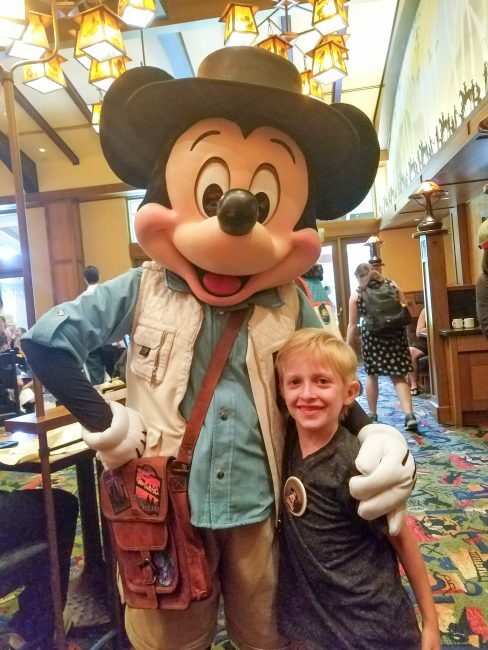 What I love about character dining is because almost all of the time you spend there is time saved waiting to do meet and greets with other characters. Unlike WDW, there are not a lot of pre-determined areas for meeting several characters in a row. The princesses will be at the Fantasy Faire, and Mickey will be in house, but other than that, you may find some on Main Street, in Tomorrowland or other areas, ToonTown, really anywhere, and you have to hop in line before it is cut off. So really, character meals are worth it to me because then I don’t have to spend my time waiting in other lines. 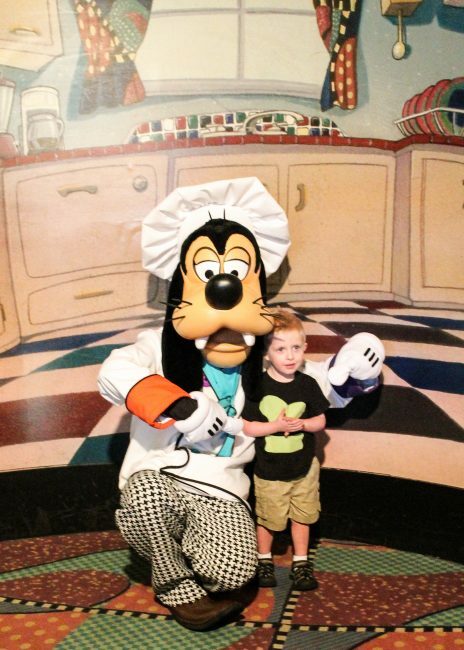 One year, we only had two days for both parks, so I scheduled Goofy’s kitchen on our departure day. It was a nice way to end our vacation without taking away any of our time in the parks! My daughter would love Ariel’s but I hate to kill at least 90 minutes for lunch…this post was helpful in terms of planning our day. Thank you! 90 minutes really flies by. And not everyone will take this long, but with the style of Ariel’s Grotto I would still plan on 90 minutes. When you go to make your reservations, you will be provided with a list of available times. The times do vary based on the park hours and crowd levels, and which dining location you choose. Hi! I’m planning a trip on the last week of August, we are taking our 2 kids (daughter is five and son will be two), since I read that kids under 3 eat free from a parent plate, when making reservations, should I do it for three or four? Hi Fernanda! You would want to count everyone when making the reservation. When you arrive they will ask the ages and will not charge you for any guest under age 3.